East Coast Media & Printing is Central New Jersey’s leading printing and marketing source. With a diverse mix of modern and traditional equipment, experienced staff, centralized location, and a secure 21,000 sq ft facility, East Coast Media is the unique company that can handle almost any project you have. 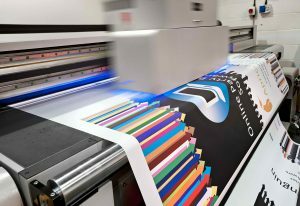 In a VERY straightforward way, we enable companies to market and communicate using multiple media methods; full-service print, large format display/graphics, digital print, mail service, web & graphic design, e-mail, apps, and branded promotional/apparel items. We are completely production based, all our services are done on site, helping to eliminate the need for multiple vendors. Our “One Design, Many Applications” approach streamlines your marketing, communication and print collateral buying. Having all, (or some) of your projects in one reliable place keeps things consistent, easy to keep track of and rewards you with real cost savings. Compare Us!To learn why more businesses trust us with their important projects and have lost patience with big-box stores, franchise printers and others. Reach out to us today to Get Commercial Quality and Service from East Coast Media. Contact us to schedule a no-obligation consultation. East Coast Media operates in a 21,000 sq ft facility that houses everything from 5-Color Presses & Large Format Printers to a full design team and production staff. Please don’t hesistate to contact us with any of your printing, bindery, mailing, or web needs. We are not just a print or copy shop, we are problem solvers and are glad to make recommendations based on our knowledge and experience. Please reach out to us today.